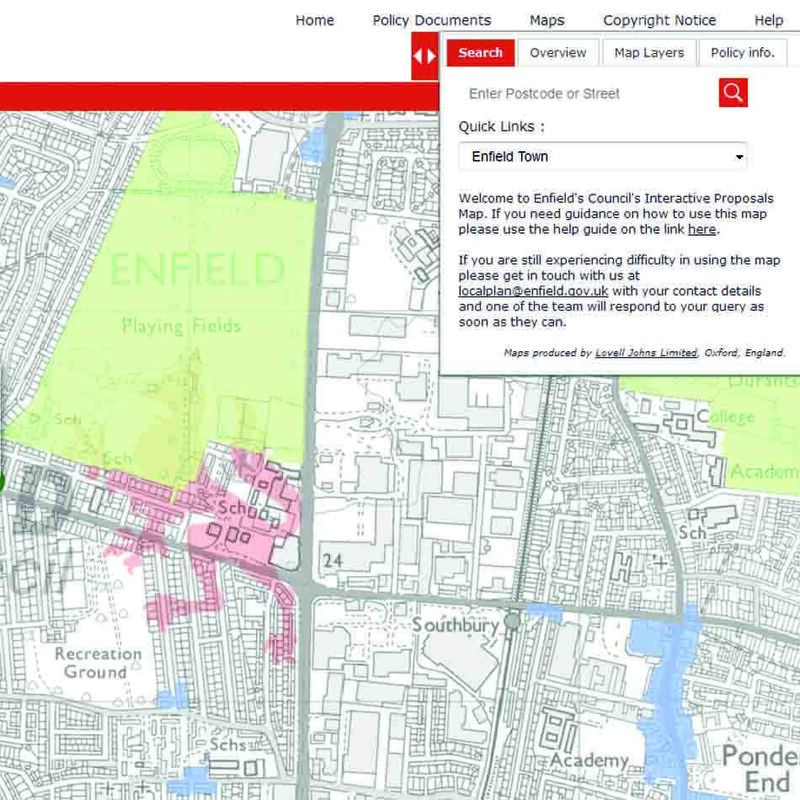 Lovell Johns were commissioned to produce an interactive map to support the London Borough of Enfield Council’s Local Plan, allowing users to search for an address and find the relevant policies. 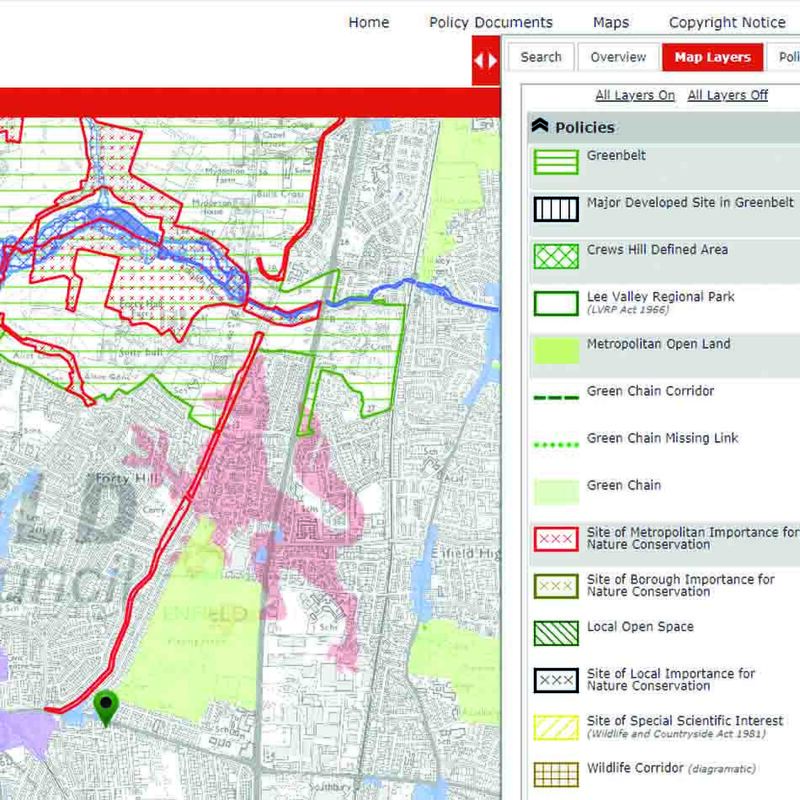 All policies on the map are hyperlinked to their relevant document to allow users to read up on Core Strategy, Development Management and Area Action Plans. The solution is hosted and maintained by Lovell Johns under a Service Level Agreement. 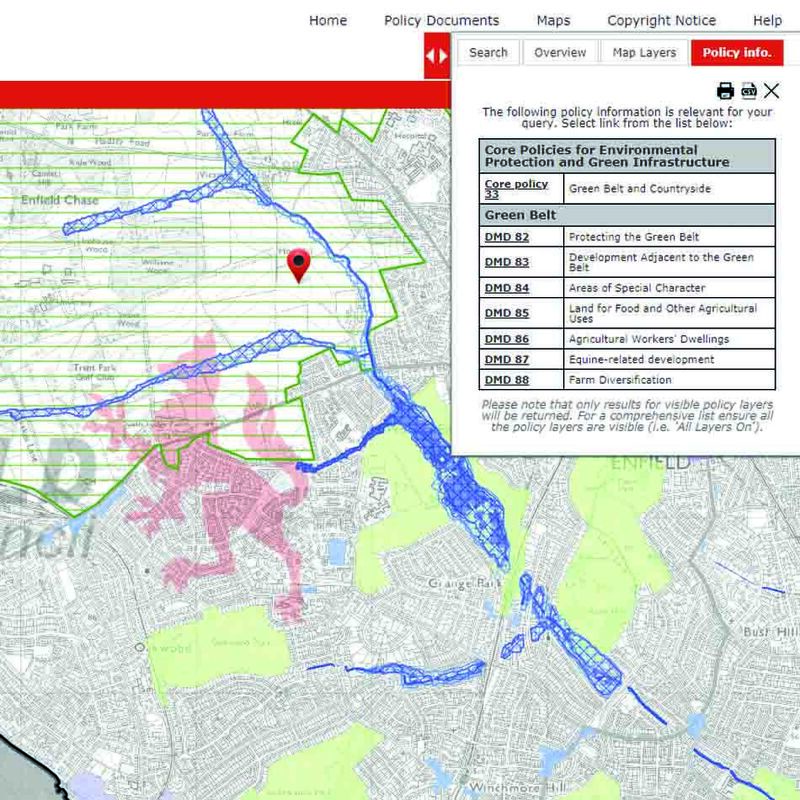 The interactive online map can be accessed direct from the Council Planning Policy page and at planvu.